The Kane AF9 disposable inline filter provides added protection for Kane 250 and 400 series flue gas analysers when being used to test oil fired burners. Used in conjunction with the standard PF400 particulate filter which is situated within the water trap assembly, the AF9 disposable filter further reduces the possibility of dirt or foreign matter entering the analyser and causing premature failure of sensitive and expensive components such as the pump and gas sensors. 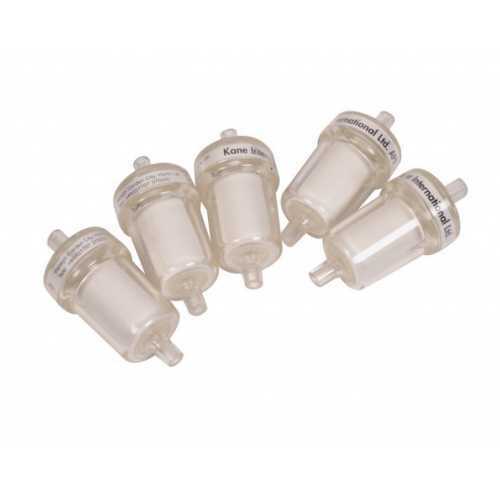 Regular replacement of the Kane AF9 disposable filter assembly and the PF400 filter element helps to ensure that the Kane analyser is operating correctly and efficiently. 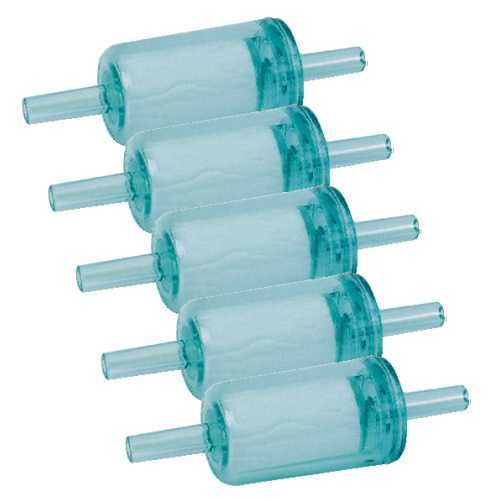 Note: Existing AF9 inline filters may be of a slightly different appearance than these replacements. Existing AF9s may be of clear plastic and have a label around one end. When replacing a contaminated Kane AF9 filter ensure that the 'fat' end of the new AF9 is fitted to the flue probe hose and the 'thin' end to the short hose and spigot.